This transaction, partially financed by Crédit Agricole de Normandie-Seine, means that Nexira is wholly owned by the Dondain family and consequently reinforces its independence. Nexira chose CMS Bureau Francis Lefebvre and the Sorej law firms to advise it with regard to this transaction. The French mid-market family company, founded in 1895, is a global leader in acacia gum (+40% market share) and one of the leaders of natural ingredients and botanical extracts. The company recorded a turnover in 2015 of €112.5 million, with 90% being generated in the international market. 'We would like to acknowledge the efficient involvement of Edmond de Rothschild Investment Partners in Nexira, which strengthened our strategic development decisions. Its role, as our financial partner, demonstrated its respect for the values of our family group throughout the last 6 years,' said Stéphane Dondain, Nexira Chairman. Since 2011, Nexira has recorded 40% growth and boasts seven production plants around the world, five of them located in France (Rouen, Serqueux, Lamothe-Montravel, Bram, Corbie), in addition to eight subsidiaries throughout the world, the main one being based in the United States. 'Today, Nexira is underpinned by a capital and organisational structure that will secure our role as a benchmark company in the acacia gum industry through to 2020. Thanks to innovation and new acquisitions, we are developing our position as leader in the field of natural ingredients in health and nutrition,' underlined Mathieu Dondain, a member of the fourth generation of the family group, who recently became Nexira Managing Director. Plans concerning external growth and diversification by the end of 2017 in North America in nutraceuticals and nutrition industries, without excluding opportunities concerning ingredients or natural additives for food applications. Innovation and marketing with the launch of new health and nutrition products. 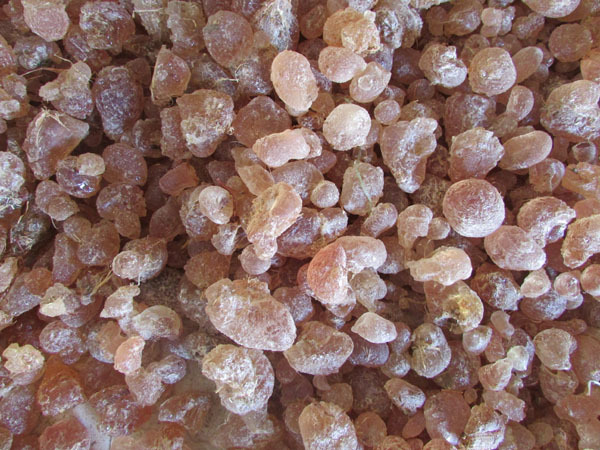 R&D, through maintaining a significant level of investment for the development of new functional and nutritional properties of acacia gum, and a patent pending concerning digestive health. Nexira, respecting environmental obligations and a responsible approach to business, has been investing for many years in the protection of natural resources, in particular with regard to sourcing acacia gum and cactus. As part of its sustainable development approach, Nexira has been involved in an ambitious programme in Chad with the NGO SOS Sahel. The acacia tree has been identified as a major resource in the 'large green wall' international project. These trees, which withstand difficult climatic conditions, are at the heart of this programme: a belt of trees stretching more than 7000km from Senegal to the Republic of Djibouti to hold back the expansion of the Sahara, restoring 50 million hectares of land and reducing the production of CO2. To support its ambitious development strategy, Stéphane Dondain, current Chairman and Mathieu Dondain are backed by high-level executives in the Executive Committee with Olivier Houalla, Operations Deputy General Manager, Frédéric Ducluseau, Risk Assessment Deputy General Manager, and Philippe Vialatte, Procurement/Supply Chain Deputy General Manager. 'Today, Nexira is fully geared up to confirm its position as one of the world leaders in natural ingredients for the food, health and nutrition industries while safeguarding our independent family group culture,' stated Mathieu Dondain.